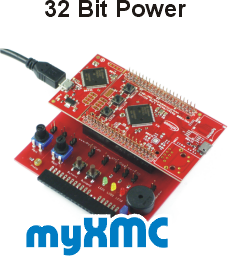 The following project myTinyProg MK1 LPT describes a possibility to use the learn and experimental system of myAVR as a comfortable hardware environment to burn, program and test ATtiny controller in connection with the myAVR Board MK1 LPT. 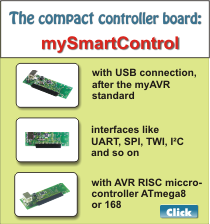 You can use the project with both boards (MK1 LPT and MK2 USB). The base is a labour card A and some components like a DIP 8 socket and a multiple pin strip; if necessary a quartz and two capacitors. This project should also give suggestions to develop this case of operation also for controller of the AVR-mega-serial. 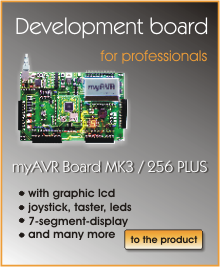 This project is suitable for the myAVR Board MK1 LPT and the myAVR Board MK2 USB.